I rarely post editorials or photos from magazines, but this one just hit so close to home - that I had to! I just got my November issue of Marie Claire today and was perusing through when I came across this editorial. 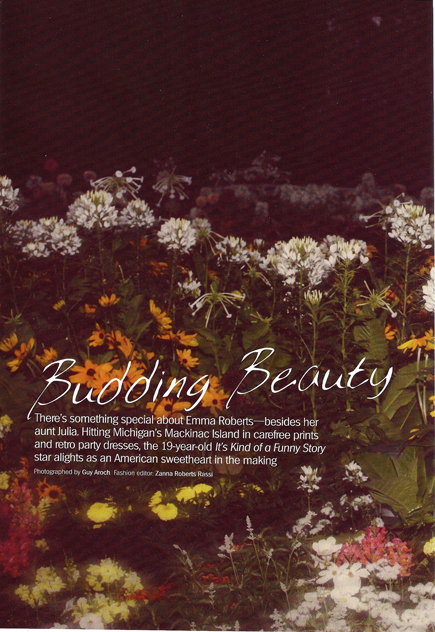 The styling is just gorgeous, the photos are perfect, Emma looks amazing - but the best part is that it was all shot on Mackinac Island in Michigan! I adore Mackinac Island - we were there visiting last fall and it's such a beautiful place. Go Marie Claire for shooting such a gorgeous shoot in an amazing location! Location: Mackinac Island is a 4-square-mile National Historical Landmark located on Lake Huron between Michigan's upper and lower peninsulas. Getting there: The island is accessible only by ferry or plane. Getting around: Cars are forbidden on Mackinac Island - transportation is provided by horse and carriage, bicycle or your own two feet. Where to stay: Located high on the bluff overlooking the straits of Mackinac, the Grand Hotel is the world's largest summer hotel. It's classic Victorian architecture was the backdrop for such films as This Time for Keeps (1947), starring Esther Williams (for whom the hotel's pool is named), and Somewhere in Time (1980), starring Christopher Reeve. Just awesome! I'm still so excited about this editorial! It's fun to see familiar places in the backdrop of the photos. Plus, I love that the clothes she is wearing are real and seriously cute. Sometimes I have such a hard time with magazines because all of the shoots are so unrealistic for normal girls in the world. And yay for Michigan! You can read about our trip last year at this post here. It was a magical weekend - honestly one of my favorite weekends I can ever remember. I can't wait to go back there someday really soon!